Every Android user by default downloads the apps from Google Play Store. However the apps released for Android platform are not limited to the official store itself. There are many other external Android app stores that host both free and premium apps. In this article, we discuss some of popular Google Play alternative App-stores. There are many reasons why you should not limit yourself to Google Play store. Most of the developers who publish their apps from countries such as China and Russia prefer to use non-Google affiliated appstores. You're also likely to download the content which may not be available on the Google Play store itself. You can explore lot of such content on third party Android app platforms. Here are some of the handpicked external App stores that you can use to download Android games and apps safely. This app store is only limited to the free and open source apps. You can't find any paid or app with in-purchase options released officially. Only secure apps are being shared here. 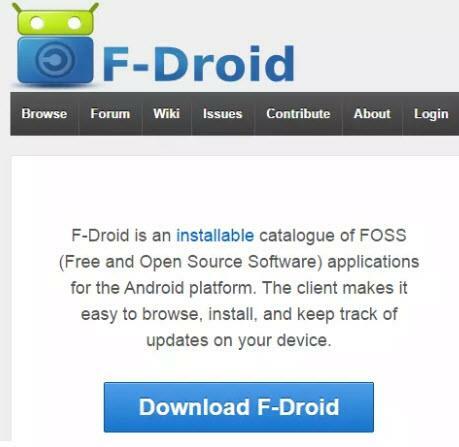 As of now the F-droid has managed to stay around without any commercial apps in it. The marketplace relied completely on the donations to keep the service active. So the hosting of the apps and the update of the official app is done from the funds from the developers and the users. Though business model is not safe for long run, however you may find this as the only place to download ad-free apps if you don't have money in your pocket. Apps released on this marketplace are under Apache or GNU open source license. The app store recently allowed the developers to host the apps with in-app purchase or with some limited ads. However it is disabled by default and you don't see them unless you change the options. 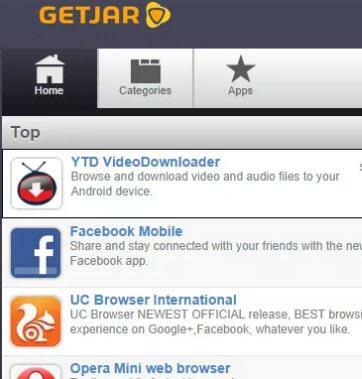 One of the oldest app marketplace which earlier used to distribute Jar files for Symbian platform. Now it has section for Android and other mobile platforms too. Most of the apps included here are free of cost. Searching for apps and games is very easy on this site. You have to just go through the subsections for finding the app specific to your requirements. There are a lot of sponsored ads and apps being recommended here. So you may have to watch out for such in app downloads through this website. Developers don't get paid for listing or downloads on this site. However considering the wider reach of this network, your free app may benefit from downloads on this site. Also for users, they can find lot of Android apps which they can't download from Google Play Store. Amazon has two different appstores under it's own ecosystem. The first being default "Appstore" and the second one is called "Amazon Underground" that only publishes free or the discounted apps. Both of these appstores can be downloaded on any Android devices. It requires permission access in order to install itself. However once installed, you get the access to buy and download the apps. Amazon underground is US specific as of now and allows access to free premium content. There are also some of the apps that are released specifically for the Amazon devices such as Fire HD and Kindle Fire. The FireOS specific apps are available in the section that is visible to only Fire OS devices. Some of the FireOS specific apps may not be available on the Android section of appstore. If you like downloading free content in sale or discount period then Amazon appstore is worth checking out. This marketplace is limited to the Android based games only. So there are no apps on sell or download on this marketplace. This appstore is full of indie games being distributed for free and paid version. You can access the store from PC desktop and also from the smartphone device too. The cost of the games on this marketplace is very low compared to the Google Play. Also there are no in app purchase options for games sold in this network. It may not generate much revenue for the game developers, however, the developers have more control over their content being sold here. You may find that the games posted on this store are good enough if you're open towards indie released games. This is one of the old app download website. Apart from app downloads you can find wallpapers, themes and skins for the different mobile platforms. It has open access to the content hosted on their site. It doesn't have any user registration restrictions to download the files. You need to download the base app and from here you can download the further files. The app can be used as file manager and theme or skin changer for some specific models. There is no cost for the most of the content on the Android app section. However there are some paid apps released into the site too. So you may notice premium access or in app purchase. For developers this store shares 80/20 revenue split. So the website is good for both developers and users for their content. This marketplace offers both free and premium apps. The store payment options include Paypal and many other payment options. This way it covers large number of international users under it's marketplace. The marketplace selects the apps carefully through quality control process. Developers are compensated with 70% of the revenue generated by the premium app downloads. The store has plenty of search filters with name, date and download options, which makes finding apps easy. Unlike Google Play store, developers don't have to pay the network any fee to list the apps. Security Note: Often external appstores don't manually review the app uploaded on their network. This creates severe security issue if any system altering app gets on your device. Most of the external marketplace require you to download their base app. This is the app from which you are going to download and install other third party apps. Do note that such apps likely to have some security issues. So make sure you download from the trusted sources and run anti-virus scan before running any external .apk file format. If you are unsure of the origin of the app then it is best to avoid download such app. Instead read the reviews of app in comment section before downloading any content. There are many other Android app stores out there like - 1Mobile, Appia, App Brain, AppsZoom and Aptoide. However not a lot of them have safe and impressive app content. Considering every device links to the Google Play Store, you may not get more variety of app downloads from single place. So your best option is to find the premium or free apps from the Appstores listed above.